2017 is already proving to be a great year for auto enthusiasts with a lot of launches coming their way. Are you a bike enthusiast and waiting to know about the bike launches coming your way? 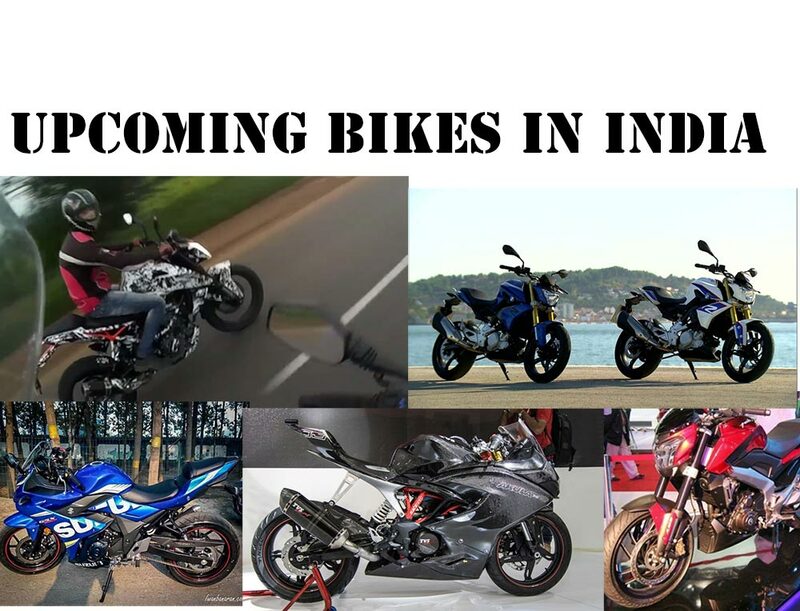 Here is a list of top 5 bikes under 2 lakh rupees. Street fighter bikes in India were taken to a next level when the KTM Duke 200 was launched in India 4 years ago. KTM then launched Duke 200’s cousin, the Duke 390 a year later. These bikes got such good feedback from the Indian market that KTM decided on getting the Race Edition bikes the RC 200 and the RC 390 to India. KTM bikes in India were showered with praises and are still being appreciated by a great lot. This is when they thought of spicing things a little. KTM is getting us the all new 2017 edition Duke 200 and the Duke 390 to India next year. The camouflaged bikes were spotted testing on Indian roads and the design looks promising. We believe KTM will not make changes with the Engine and Performance of the bikes, we also learn they get new instrument cluster with phone syncing technology. How awesome is that? We have to find out by April next year. BMW! The name is what takes people by surprise and yes, BMW is planning on getting their bikes to India through the Indian automaker brand, TVS. What BMW is trying to do here is its letting you have a premium bike for a pretty low price. G310R will be powered by a single cylinder 313 cc engine which makes 33 hp of power and weighs 158.5 kg. The G310R will be put against the KTM duke 390 which makes 43 HP at a weight of 154 kilos. 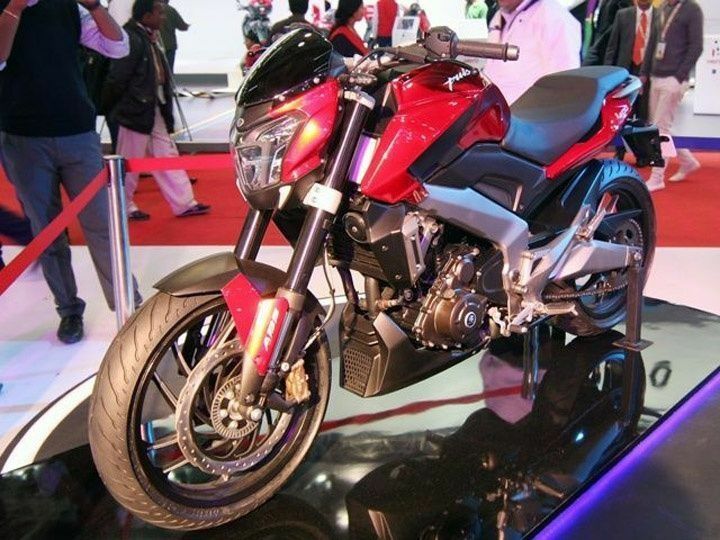 The pricing of the Duke 390 is very aggressive coming at Rs: 1.98 lakh (ex showroom Bangalore). 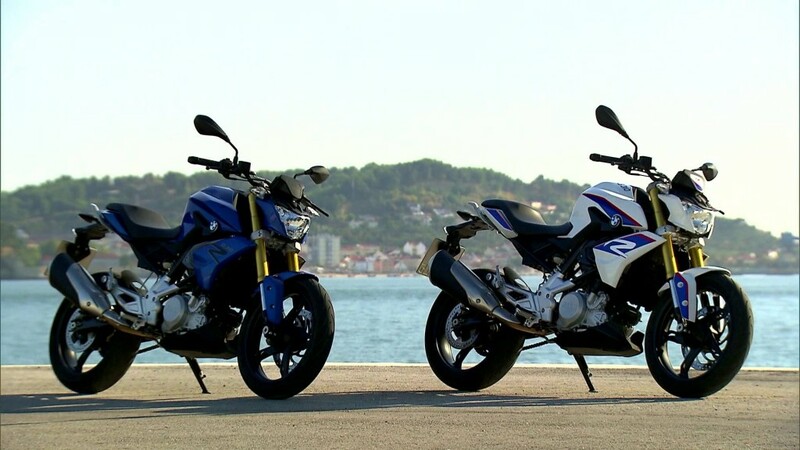 BMW G310R looks the part in the pictures we have seen and we expect the bike to perform as good as it looks. The launch to be expected anytime after November 2016. The Akula 310 was first seen as a concept at the Auto Expo earlier this year. Impressed with the response the bike got at the event, TVS are in fast track to get the bike in production. 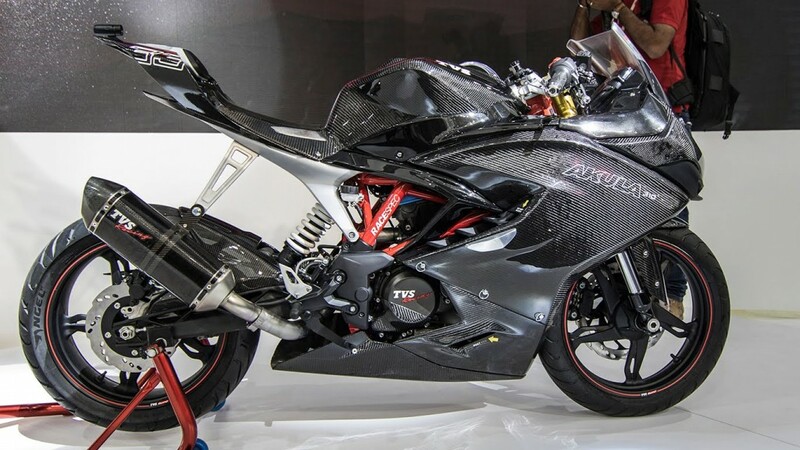 The Akula will get the same Engine as the G310R and will be called TVS Apache RTR 300. Akula 310 will be a track focused bike which is based on a highly stiff space frame chassis and comes with bits of carbon fibre material. The aerodynamic efficiency comes with the fairing of the bike. Akula 310 is set to go against the KTM RC390, Kawasaki Ninja 300 and the Yamaha R3. 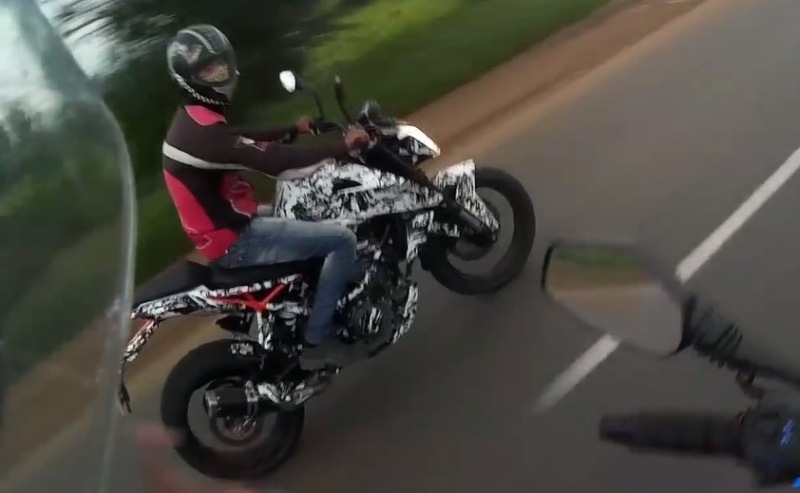 Akula is expected to be launched around the same time as the G310R and be priced aggressively. Bajaj is almost ready to launch its newest bike, the Kratos VS 400 ( Dominar 400). Kratos is a much anticipated bike with a different approach to all other Bajaj bikes till date. Bajaj is setting their standards high by powering the VS400 with a 373 cc engine making 34 bhp. The displacement and power is unlike anything we have seen from Bajaj so far. With its ling wheel base, Bajaj is letting you enjoy all the power while feeling like riding a cruiser. Top speed will be about 150-160 km/hr. The VS400 is set to go up against the KTM Duke 390 and the Royal Enfield Himalayan. Bajaj is known for its aggressive pricing and we would expect the Kratos to be priced around Rs: 1.60-1.90 lakh. Suzuki after getting the Gixxer and the Gixxer SF to India has created a buzz in the 150 cc segment category. This seems like a perfect time to move forward with their range of bikes in India. Hence, Suzuki is making us wait eagerly for the Gixxer 250. Its set to make its appearance at the EICMA 2016 in Milan later this year. Inspired by the higher capacity Suzuki bikes, its set to get a full fairing body with clip on handle bars. Gixxer 250 is rumored to be powered by the same 250 cc engine seen on the Inazuma. 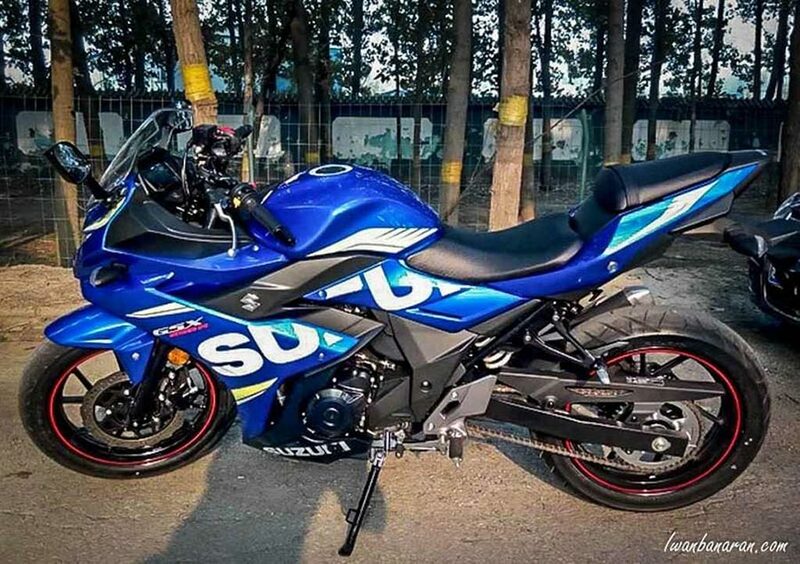 Suzuki Gixxer 250 is being prepared to go against the KTM RC 390 and the Honda CBR 250 in India.